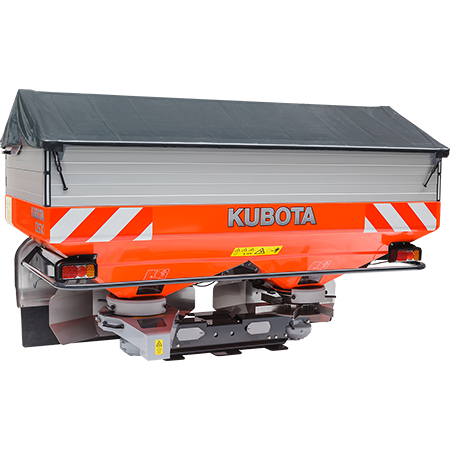 The DSX is the high capacity model of the Kubota spreader range. The heavy duty construction of the DSX makes it possible to carry up to a maximum of 3,900 litres of fertiliser with 3 extension rims. 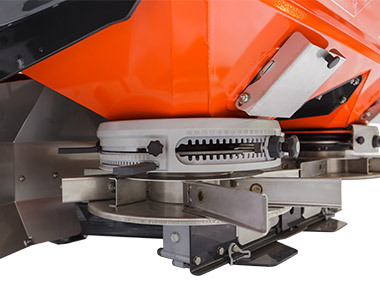 Easy setting and adjustment can be done with the FlowPilot on each spreading disc. 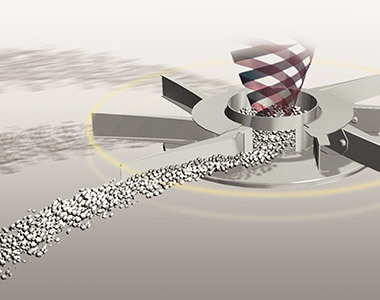 An innovative drive line to each disc ensures gentle agitation due to the “slow rotating” agitator system, which runs at 15% of the spreading disc speed. Both discs can be shut off independently to spread half the working width, essential for preventing lodging in tapering headlands. 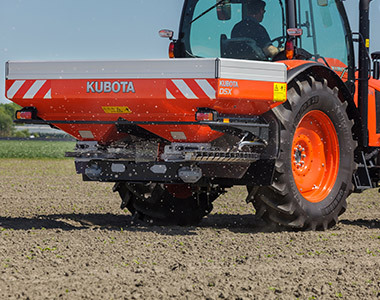 Kubota offers the TrimFlow system for border spreading. 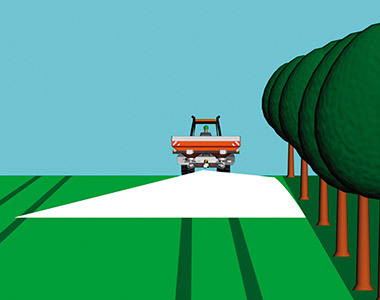 The TrimFlow can be accurately set for all types of fertiliser and for all working widths. Operation is easy, no need to leave the tractor seat. Central Hydraulic Drive as option available for the DSX. Centre gear box with 2 input shafts for high and low disc speed settings is standard equipment of the DSX spreader. 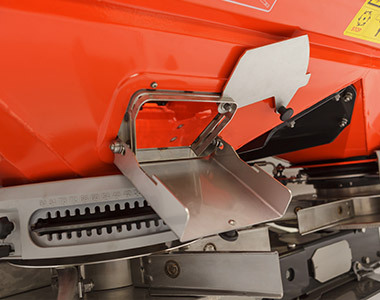 Hopper emptying kit is standard to easily get the last of the fertiliser out of your hopper. 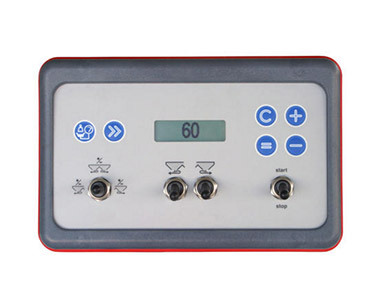 Easy calibration is done with the optional calibration container. Long life time LED lighting set are standard for the DSX.